We are pleased to confirm that stallholder applications forms are now available to fill in. Please click here to complete your stallholder application. Fees and charges for 2018 have now been agreed by full council, please click here to view them. 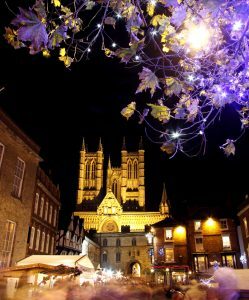 All stall allocation are done by City of Lincoln Council as the organisers of Lincoln Christmas Market. All stall allocations are the final decisions of the organiser and no discussion will be entered in to. You can find out more about our selection process by clicking here. View the fees and charges for stallholders for the 2018 Lincoln Christmas Market. Read our FAQs which answers a range of common questions from stall applicants. If your interested in having a stall at the 2018 Lincoln Christmas Market click here to fill in the application form.